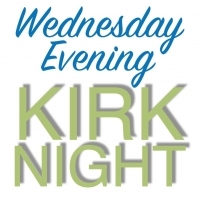 On Kirk Night (“Kirk” is Scottish for “church”.) Providence hosts an informal Wednesday evening gathering where we join together to share a meal and focus on God’s word through a specific study. Our Winter/Spring session will be held on the following days; January 9, 16, 23, 30, February 6, 13, 20, 27, and May 1, 8, 15, 22. We meet in the Fellowship Hall where you will find a dedicated team of volunteers who have prepared a delicious home cooked meal for us. Dinner is provided for a minimal fee of $5/adult and $3/children. After dinner our adults and youth remain in the fellowship hall for a group study and our children move to the choir room for Kirkmusik, Our kirk-"moo"-sicians engage in a variety of activities during the half-hour session, including singing, playing instruments, and learning the language of music. When Jesus called His disciples, they left everything and followed Him. Careers. Possessions. Families. Everything that was safe and familiar. Jesus expects no less of His followers today. In this video-based group Bible Study, David Platt challenges the notions that Christians can follow Jesus without giving up our old way of life. Redeemed by radical grace, we are called to a radical abandonment of our agendas, to a radical strategy for making disciples, and to a radical vision for being on mission.